An all white flowering garden can be both striking in the day and the night. Adding some color for accent is always a good idea. 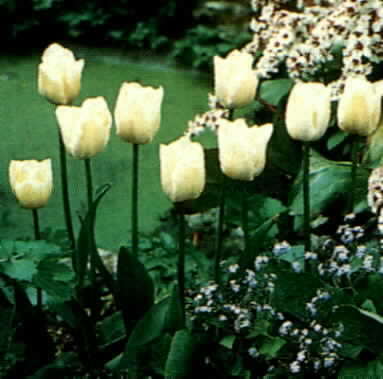 These tulips will glow in the moonlight and be fragrant. 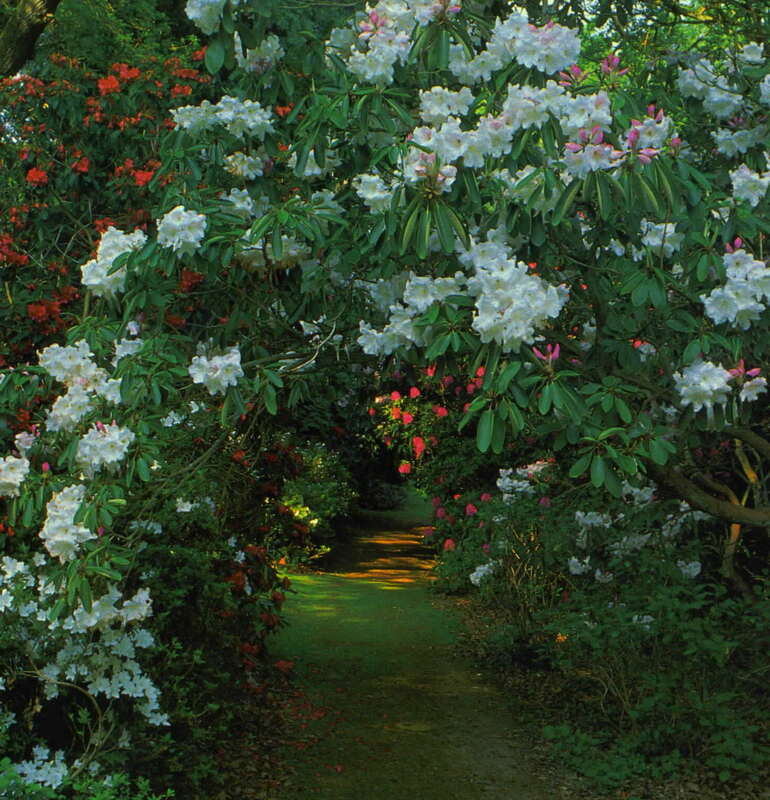 Most white flowers are summer blooming and can be enjoyed on cool evenings. 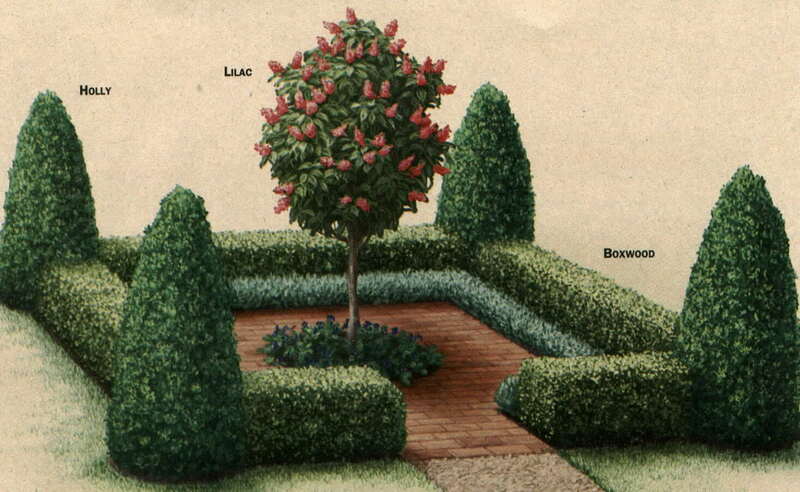 This design example would show well as an island bed to be enjoyed on all sides. Placing the garden so it can be viewed indoors can add to an evenings entertainment. If your preference is to have color in the landscape you can still enjoy your garden at day's end. Night blooming flowers and flowers with their fragrance enhanced during a cool evening can be used to create a moon garden. The fragrance of blossoms on an evening breeze can bring relaxation and serenity during the twilight hours. Also, most evening flowering plants are still in bloom in the early morning hours. A more formal approach can be used to highlight your garden during the evening. Lighting placed stategically in the garden can create your own "moon" lighting. Any local hardware could provide outdoor lighting for the garden. Be careful when adding false lighting. The idea is to create a natural look not an artificial one. Adding a water feature, like a fountain or birdbath, could reflect the moon's rays throughout the garden as well.